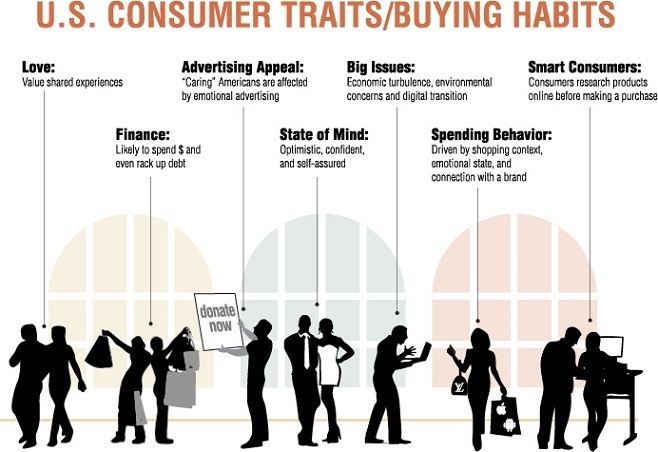 Consumers are becoming savvier in the way they research products/services and make purchases. Not only do they research before making purchases, but they know when they’re being sold to. This especially rings true with Millennials (those born roughly between 1980-2000). This large and increasingly powerful generation is having a profound effect on the way businesses are marketing themselves. Millennials demand authenticity, and they can see right through the smoke and mirrors of many companies’ advertising efforts. And, these demands for authenticity and aversion to traditional advertising is not only isolated to Millennials, but to all consumers. So, how can you reach your potential customers if they don’t want to be advertised to? One strategy is to get people talking about or sharing information on your brand, product, or service-otherwise known as word of mouth. But, how can you get people talking about your offering? The answer is not as hard as you might think. In Jonah Berger’s book, Contagious: Why Things Catch On, he explores what makes people talk about and share certain things and not others; he unearths the essence of what makes one campaign or product go viral and another fall flat. Berger points out: “While traditional advertising is still useful, word of mouth from everyday Joes and Janes is at least ten times more effective.” He goes on to explain that word of mouth is “more effective…because it’s more persuasive…and it’s more targeted.” To elaborate, we trust our friends and loved ones to tell it to us straight before we believe a paid advertisement from a company claiming its product/service is “the best.” And, word of mouth is more targeted because it’s naturally directed toward an interested audience. People share relevant information with people who will benefit from it. Word of mouth is targeted information that’s pertinent to the receiver. While an ad for reading glasses, for example, might be useful to someone that wears glasses or wants to buy a pair, this ad is delivered to a wide audience that may or may not have a need for reading glasses. Word of mouth, on the other hand, delivers useful information to the person that needs it and is likely interested in it. You wouldn’t share an email with an offer for a sale on fishing gear from a sporting goods store with your mother-in-law who hates the great outdoors. But, you might share that email with your buddy that you went fishing with last summer. Word of mouth is highly targeted and typically relevant to the recipient. How do you get someone talking about and sharing information on your brand? In Berger’s Contagious, he explores six concepts that can help get people talking about your service. One of these concepts is practical value, which he defines as “news you can use,” or shareable advice. People like to pass on useful information. Doing so not only helps the person receiving the information, but it also makes the person sharing the information feel good in having helped. One example, Berger uses is a video on YouTube with 5 million views. You’d expect this video to be something really cool… Maybe a new music video or something really funny or otherwise remarkable, right? This video isn’t really all that exciting though… There are no beautiful people, no great music, nothing super remarkable, EXCEPT for one thing… A helpful tip. This video, Ken Craig’s “Clean Ears Everytime,” is homemade and pretty boring at first. It’s an 86-year old man from Oklahoma talks about shucking corn, and it got 5 million views! Why? Well, in the video, Craig solves a problem many have grappled with: how to get all of the silk off of an ear of corn. Seem boring? Maybe. Helpful? Yes! I have to admit that I have actually tried his tactic as instructed in the video and have had success… I have shared it with others, who have in turn done the same… And this is how a “boring,” low-budget video shot in an old-man’s lackluster kitchen went viral. Other heavily shared content includes emails on retail sales-especially when there’s an incredible value, as well as health/fitness topics, dating advice, and safety information. What do sales, health/fitness, dating advice, safety, and getting silk-free corn on the cob all have in common, and why do these things get shared so frequently? All are news people can use… Helpful information that gets passed along. Practical value is about saving people time or money, or helping them to have a good experience. Berger also points out that the narrower the content is, the more likely it is to get shared. An article about football, for example, may have mass appeal, which may make it less shareable than an article about water polo for example. This is because chances are that you know many people interested in football, but you might only know one person interested in a niche sport like water polo. So, when you hear about water polo, you immediately think of your friend that watches or plays water polo, and so, you share the water polo article with him/her. Educate your customers through blogging, social media, newsletters, white papers, etc. You have knowledge that’s useful to your clients and would-be clients, so share your expertise. This is one of the best ways to attract new clients, as well as stay top of mind with current clients, and it’s highly shareable. Remember to keep your topic focused and specific, and your content will be more likely to be shared. Host a special educational event for clients, employees, and your community. DKI Member Quality First Builders, LLC in Florida hosts an annual live burn, where they invite their community to come watch a house go up in flames. The community gets involved, QFB gets sponsors, and it’s not only educational, but great PR for QFB. Other DKI members have flood houses, where they do demos to train team members as well as educate clients and the community on what happens when a house is flooded. Download and share the Emergency App by the American Red Cross. This app, sponsored by DKI, features a Family Safe feature that allows you to stay connected with loved ones during an Emergency, with or without connectivity. It also has lots of great information-much of this authored by DKI-on preparedness and what to do in the instance of a catastrophic event, such as a tornado, earthquake, etc. It provides an array of practical information for you, your clients, and your friends and family. These are just a few ways to get some practical information out there. This is the kind of stuff that gets shared and gets people talking. Now you just need to start getting the word out, and remember to provide focused, useful information that people will want to share with others.